Odyssey is a product of cartodb.com, the most powerful mapping tool out there. 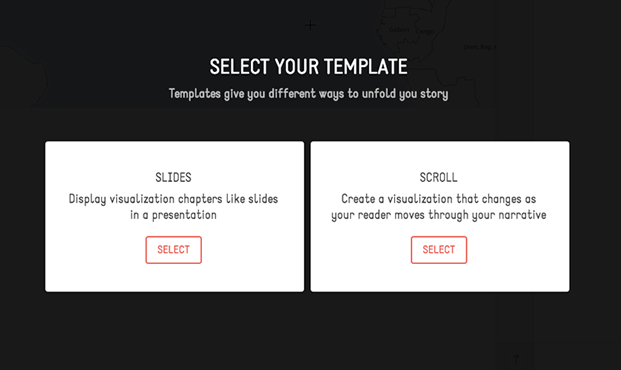 Templates allow you to change the basic way your story will unfold. Designs include scrolling, slide based, and temporal based templates. You can also contribute your own. 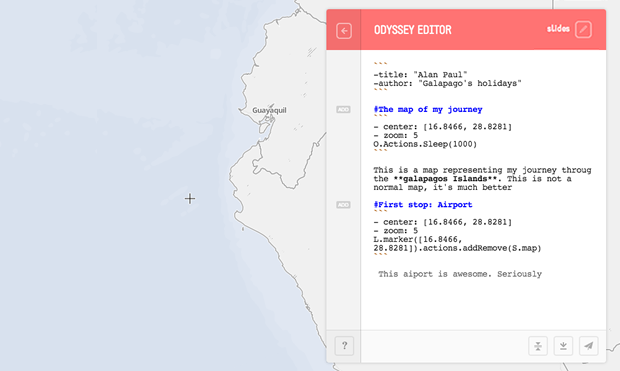 The Odyssey Sandbox gives you an easy way to test the Odyssey library and mix written narrative, multimedia, and map based interaction into a beautiful map driven story. Use the map to link pan and zoom actions to each stage of your story. Preview exactly what your reader will see as they move through your story. Explore existing actions and behaviors directly in the sandbox. Use Markdown to format and arrange your story content.